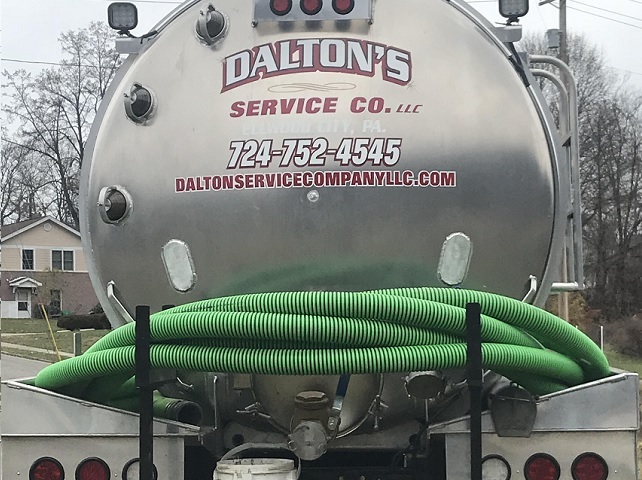 Dalton Service Company LLC, "The #1 Company In Liquid Waste Management," is the area's premier grease trap cleaning provider. Whether you have a small 5 gallon inside trap or a huge 25,000 gallon outside trap Dalton Service Company LLC. can tackle any size grease trap with ease. With over 20 years of experience in the industry you can count on Dalton Service Company LLC. to completely clean your grease trap on time so you no longer have to deal with the calls from the sewer authority to tell you your FOG levels are to high, customers commenting how the parking area behind the restaurant stinks, or dreaded plugged up lines and a kitchen back-up. Dalton Service Company LLC. can place you on a regular cleaning schedule to be cleaned during your closed business hours to reduce the negative impacts of unpleasant odors on your business. Each time Dalton Service Company LLC. cleans a grease trap all content, including water, is completely removed, the grease trap walls are scraped clean, the condition of the tank, including baffles, is visually inspected, and any issues will be noted to help the manager address any progressing problems. Call us today at 866-539-3330 to schedule a single appointment or discuss how to be added to our regular cleaning schedule.